The countdown to Christmas has nearly begun. Im getting super excited but also getting very organised. 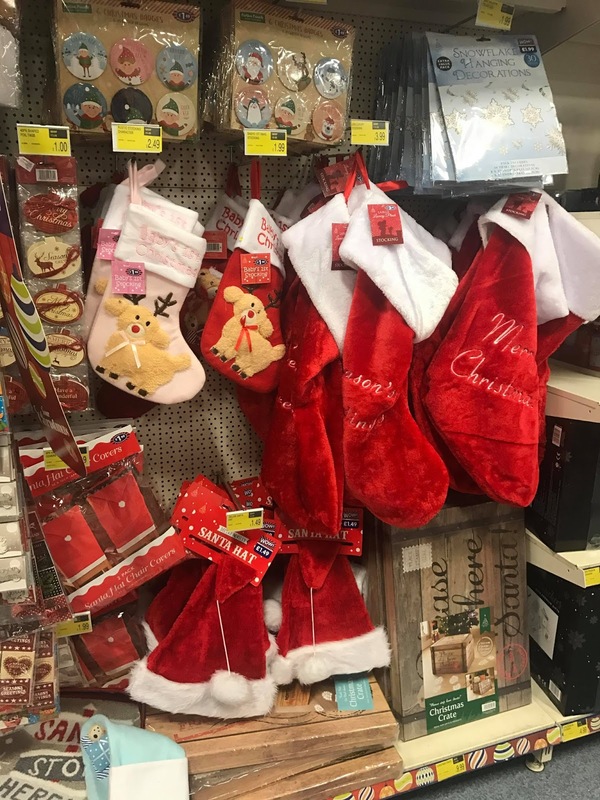 There are Christmas presents to buy, Christmas cards and wrapping paper to buy, oh and don't forget there is the Christmas stocking contents to buy too. I do love a good christmas stocking and they are must haves in our family. I remember as a child, Father Christmas (aka mum) would always pop my stocking on my door. As soon as I would open my eyes that Christmas morning the first thing I would see would be the stocking hung on my door and I would know that Father Christmas had been. That rush of excitement still stays with me to this day and its a lovely christmas memory that I won't forget. This year is the first year that Lily is starting to understand Christmas a little more. It will be her forth Christmas and although we have done stockings for the last 3 years this is the first year that she will actually get more excited about it. I really hope to re create that excitement I got as a child and so I want to make her stocking filled to the brim with goodies. But when it comes to stockings, you want it to be filled with really nice things, but that haven't cost you an arm and a leg. So thats why I headed to B&M stores to see what stocking fillers I could find. I love that B&M stores always have shelves full of things to browse. I knew that I would find what I wanted here at B&M and was very impressed at their extensive gift section. So I started hunting for stocking gifts for a 3 year old. I had a £20 budget for my stocking and I must admit, I have found out I am very indecisive. I kept finding something I loved, then putting it back because I found something else, but then ended up going back for the other item in the first place. I guess thats what lots of choice does for you. 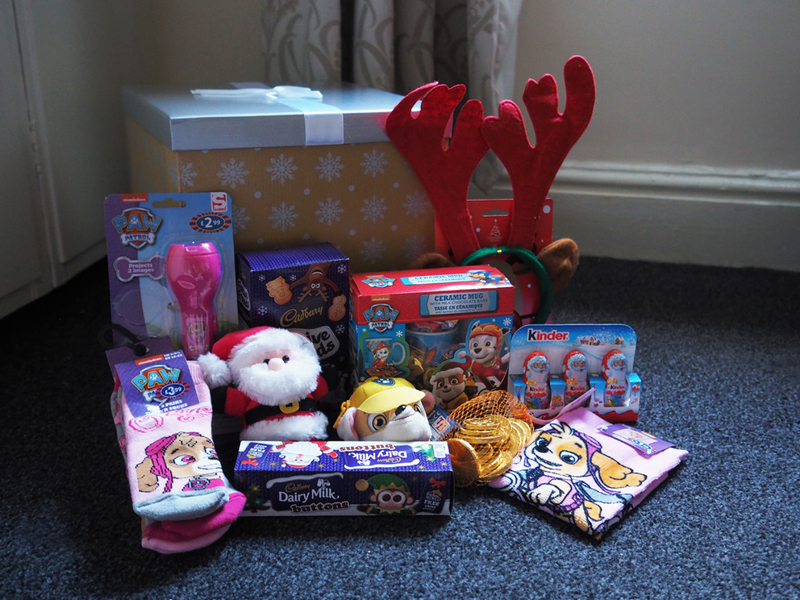 In the end I found all my items for Lily's stocking and for my £20 (Plus 24p extra) I managed to get 11 items. I could not resist these. I think the nose may be a little bit big for Lily to wear but I can just imagine that on christmas morning while opening her gifts she will want to put these on her head and be all festive. And if she doesn't I know I will end up doing which will give her lots of giggles. I was looking for a festive soft toy and I hit the jackpot with this one. You squeeze him and he starts singing "It's the most wonderful time of the year". So he is super festive and makes me feel really christmassy. Lily isn't a big sweet fan so when I spotted these on the shelf at 85p I just had to have them for her. She does love her chocolate biscuits and so these will go down a right treat this Christmas. Another one of Lily's favourites that she will enjoy eating. 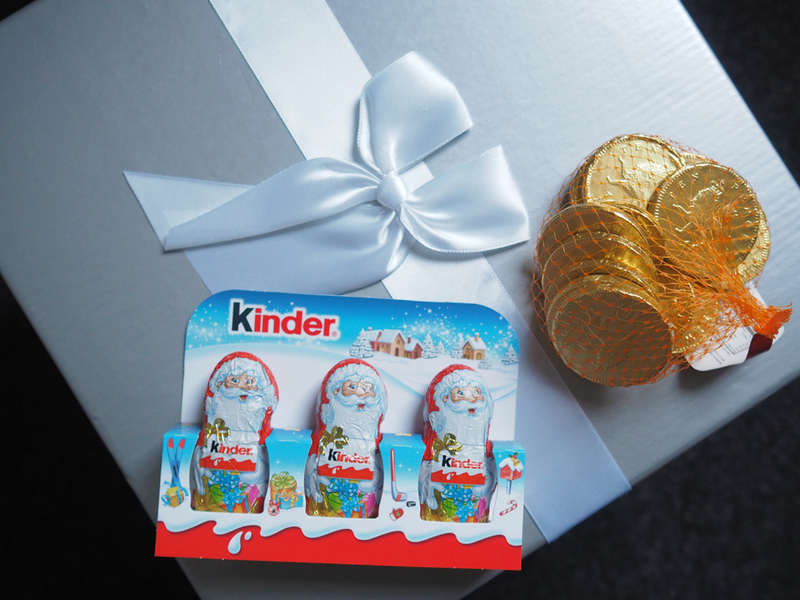 There was so much choice of chocolate but I know Lily enjoys Kinder Chocolate and so I thought she would love these festive Father Christmas ones. These are a total traditional item in our family stockings. You suddenly feel rich with a bag of gold coins. Even if they are just chocolate. Lily got some of these last year so I know she will enjoy them. I think handy items like a face cloth fit perfectly well into a stocking. They are to little to wrap up but something that you always need new of and so great to find them in your stocking. Though I think Lily will be more excited about the fact that it is a Paw Patrol Face Cloth than anything else. These were the most expensive thing that ended up going into the stocking. But socks are something we all need and something I always buy around christmas time. Socks are never anything to fancy and so perfect to pop into a stocking. Especially when they are as tiny as Lily's socks. 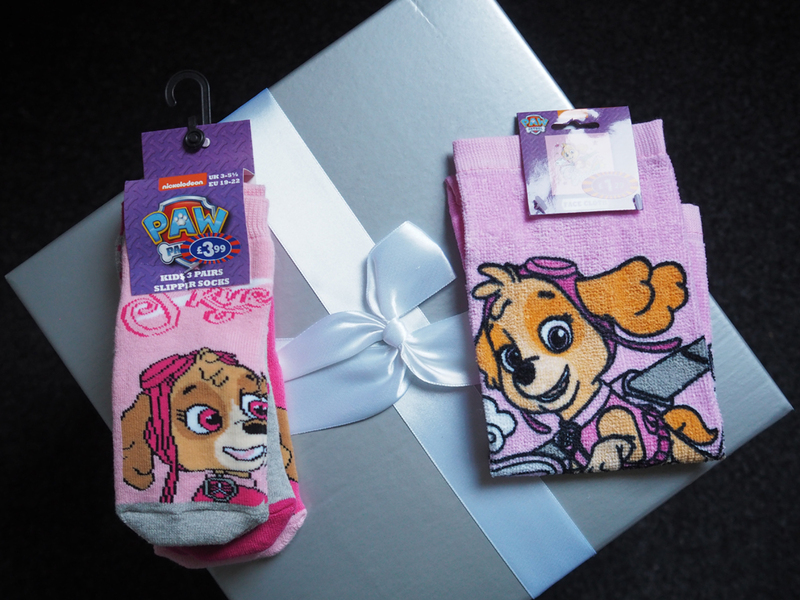 Again Lily is going to love the fact that they are Paw Patrol Socks. This item is slightly on the large side for a stocking, so it all depends on the size of your stocking you own to if you would get it as a stocking filler. Lily's is quite big and so it fits into hers just fine. I loved this little set, again its her favourite, Paw Patrol and so its going to be a nice little surprise for her when she see's it. I do love gift sets like this that have a theme, a cup and chocolate inside. I think every stocking has to have some sort of fun toy inside it and thats when I spotted this paw patrol torch. It shines the paw patrol symbols onto the walls and I think she will love these. Last but not least is this paw patrol coin purse. Its the perfect size for a stocking and anything that features her favourite paw patrol she will love. Of corse I realise that the items are very paw patrol themed and there are so many more different themes of toys to choose from. Just Lily is a little bit obsessed with paw patrol at the moment. 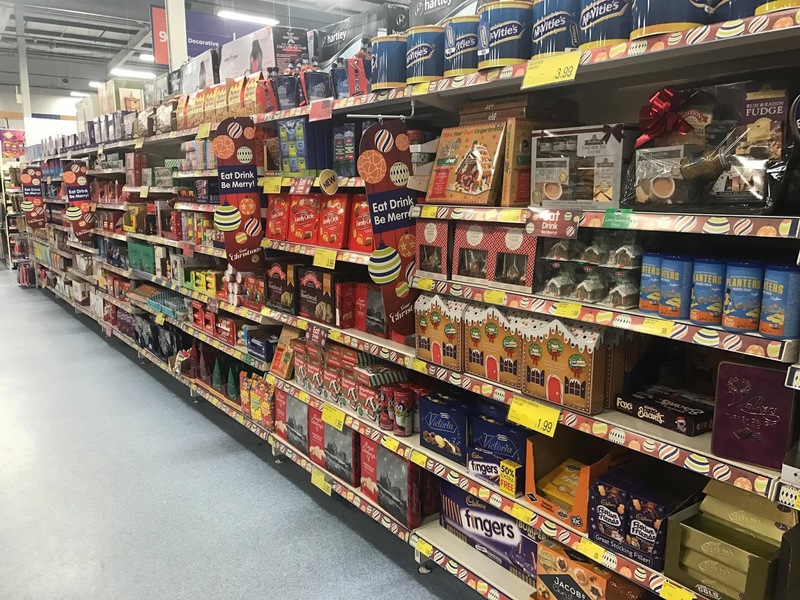 Also if you don't have your stocking yet, I did notice that B&M have them for sale there and quite large ones. What items do you like to fill your stocking with? 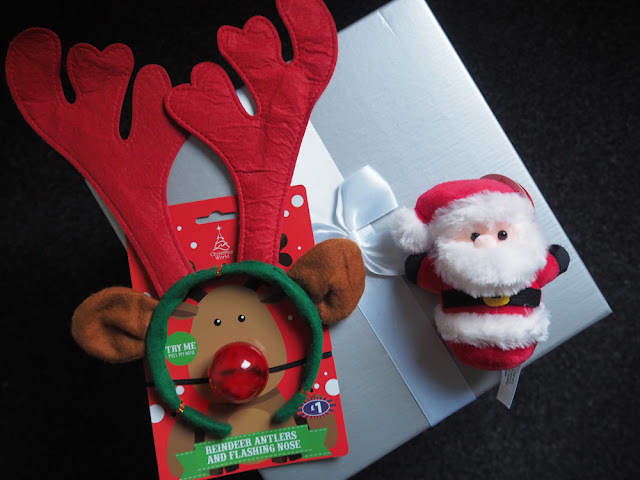 Do you think you will be heading to B&M for your stocking fillers this year? Which of my items that I chose do you like the look of? Looks like they have some great stuff. I love B & M. There is just so much choice there at great value. 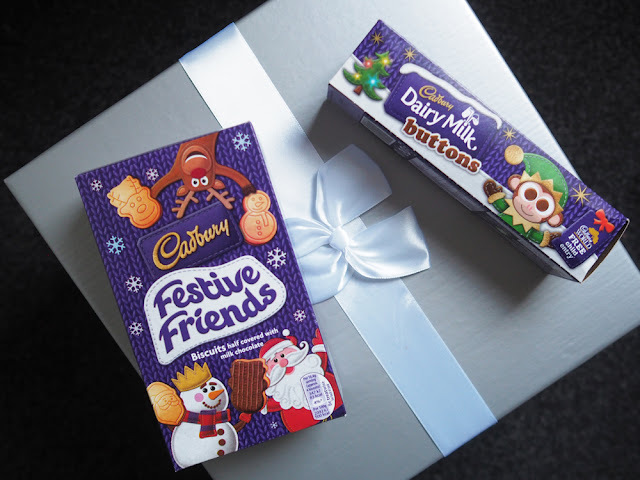 There are some brilliant ideas in this blog for stocking fillers. Thank you for stating the prices as well. 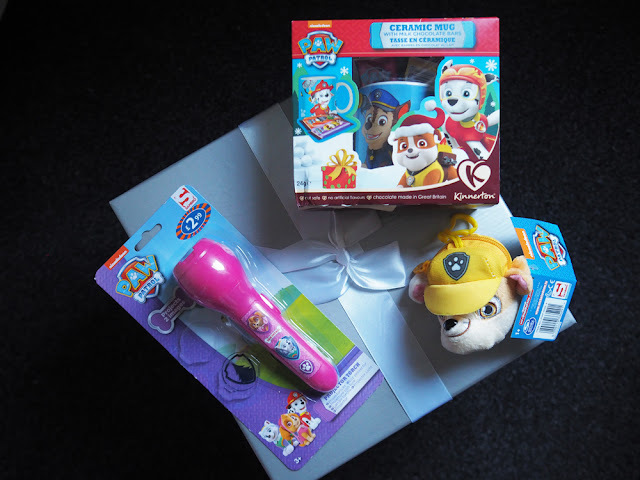 It has definitely proved extremely useful for stocking filler ideas for my Grandson who is a true Paw Patrol fan. A Cox's apple, a satsuma or two, some nuts and a bag of gold coins is the starting point for our stockings, just like I used to have when I was a kid! We do visit B&M's and Home Bargains every week, as they are both great for these sorts of things as well as the everyday staples! Looks great! We love shopping at B&M but I manage to fill up my basket way too easily! From what I recall from childhood Christmas stocking always contained tangerine and chocolate coins. I think it is the variety and surprise element of contents of Christmas stocking /s which is so exciting. I like the Paw Patrol socks. Children often do like merchandise with their favourite character /s, etc. We are also a family that are fond of pets:- dogs, etc. Lots of choices at B&M Stores. I LOVE B&M! And loving the cute little father Christmas itty bitty look alikey! I took your advice and I did this! !